Are Helmet Cams for Cyclists Worth It? Bart Haynes here in sunny San Diego. In this article I want to answer a question from a reader on whether its work it to wear a helmet cam while cycling. It’s increasingly common to see cyclists do this on the road – at least, in San Diego – and I have a suspicious that we may see a snowball effect with wearing helmet cams. 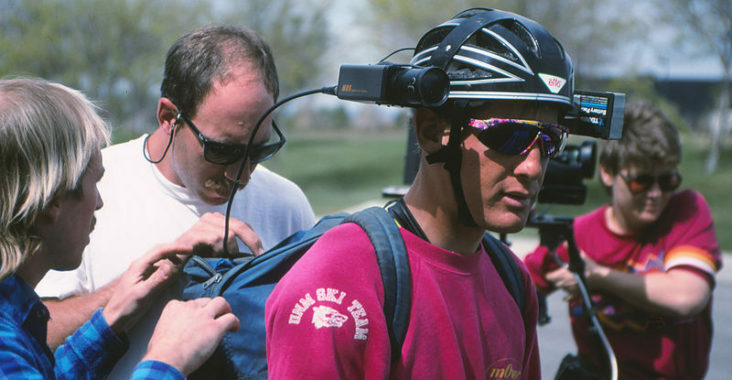 First off, why do cyclists wear helmet cams? As I personally don’t wear one, I had to ask an acquaintance of mine why he wears one. I broached the subject carefully, not wanting to seem like I looked down on cyclists who wear them. So my assumption is that most people wear it for safety. Here are what I think the pros and cons of wearing a helmet cam while cycling are. Obviously, the safety benefits are potentially important here. That being said, if you get in an accident you get in an accident. The main difference the helmet cam might make is if someone lies or disputes what actually happened. Is it worth is to buy a helmet cam for cycling? Would the $200-$400 be better invested elsewhere in your bike? Are you in a cycle-friendly area? Do you have a blog/vlog? Do you mind having to deal with it? If you are in a city, crowded cycling area, or unfriendly cycling city, it’s worth the extra precaution simply because you are going to have more close calls and run-ins with cars, people, and other cyclists. If you have a vlog or blog, helmet cams provide good content. Outside of those two things, the extra hassle and fact that $200 is for most bikes (unless you have a top of the line bike) a good investment to make elsewhere. For me, I have little incentive to get one. So there’s your answer if you were wondering what Bart Haynes thinks about helmet cams.